Where would we be without batteries? 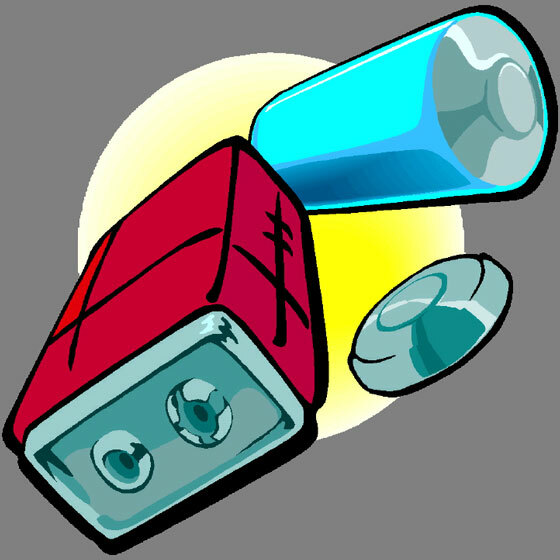 Batteries are found in items that we use every day, from cell phones and cameras to MP3 players and laptop computers. When you consider the products that you appreciate in modern day life, chances are that many of them depend on batteries. 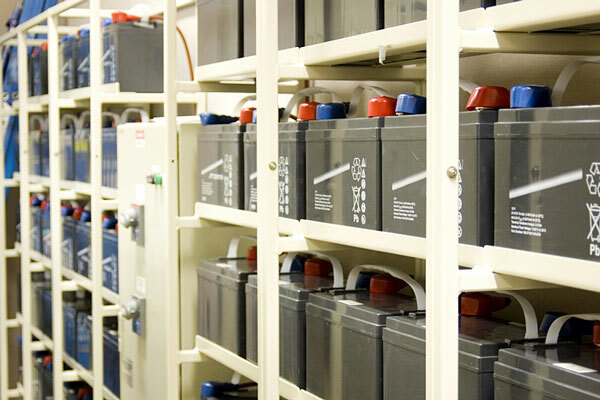 Batteries are devices that convert chemical energy into electrical energy. They are designed to power external devices such as lights or motors when an electrical circuit is created between their negative and positive electrodes. Electrons released from the battery's negative electrode (cathode) flow to the positive electrode (anode) through this electrical circuit outside the battery. ZDNet. Thursday, 18 Apr 2019 13:47:00 +0000. Popular Science. Wednesday, 17 Apr 2019 13:30:00 +0000. A battery actually consists of two or more dry cells or wet cells, each containing electrodes and an electrolyte that produce a direct current voltage by means of a chemical reaction. Dry cells contain an electrolyte suspended in a pasty, absorbent material whereas wet cells, such as those used in car batteries, contain a liquid electrolyte. Batteries actually date back to the Parthian period of Persian history (from 250 BC to 250 AD). Of course, this ancient battery didn't look like today's model. Discovered just outside of Baghdad, this battery comprises an asphalt stopper, through which an iron rod surrounded by a copper cylinder passes. The final ingredient was vinegar. If the jar was filled with vinegar, it could produce a current of 1.1 volts. While this technology was used in Persia for many years, and is still used today for electroplating by craftsmen in Iraq, the rest of the world did not learn about electricity until at least the 17th century AD. In 1600, British physician William Gilbert published his findings about electricity and magnetism, and in 1660, German inventor Otto von Guericke invented a machine that produced static electricity. Around 1730, English scientist William Gray discovered the principle of electrical conductivity, and a few years later, French chemist Charles du Fay discovered the existence of "vitreous" and "resinous" electricity, which we know today as positive and negative electrical charges. In 1747, British scientist Henry Cavendish measured the electrical conductivity of various materials, and during the 1780s, Italian anatomist Luigi Galvani discovered that an electrical impulse could move a severed frog's leg. Alessandro Volta invented the first battery in 1800, but later batteries, such as Daniell's wet cell battery (1836), Plante's lead-acid rechargeable battery (1859), and Gassner's dry cell battery (1887), were more practical and convenient. Carbon-zinc batteries were first sold during the late 19th century, but their low power output and short life span limited their usefulness. 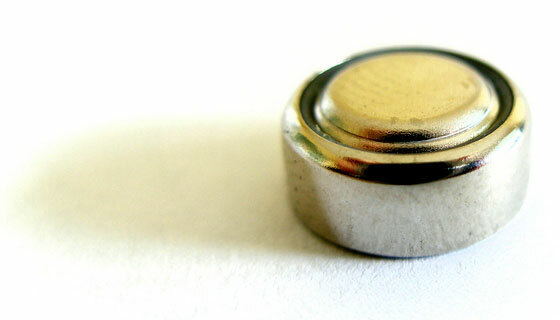 Nickel-cadmium rechargeable batteries were invented shortly thereafter, but long-life alkaline batteries would not be developed and commercialized until the 1950s. More recent developments in battery technology include Lithium batteries as well as rechargeable Lithium-Ion and Nickel-Metal Hydride (NiMH) batteries. 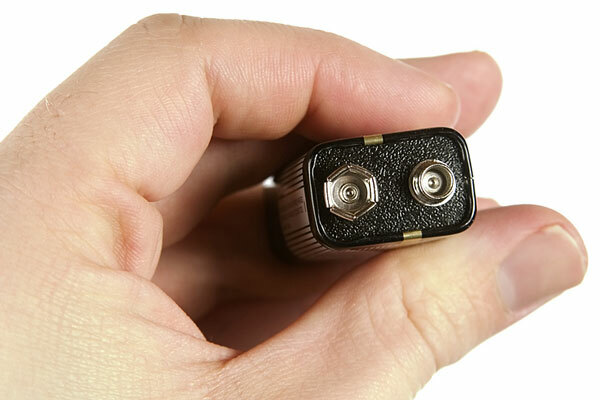 Batteries can be connected in series to increase their voltage, or in parallel to increase the current they provide. Standard alkaline and carbon zinc batteries are not rechargeable; wet cell lead-acid batteries and dry cells that use nickel cadmium (NiCad), nickel metal hydride (NiMH), or lithium ion technology may be recharged repeatedly. Specialized batteries are produced by OEM and third-party sources for a wide range of electrical and electronic devices. Non-OEM batteries are often available at substantial discounts. Browse these online battery dealers and battery manufacturers to find a broad selection of OEM and 3rd-party batteries for laptop computers, power tools, and cell phones, as well as for hearing aids, flashlights, and many other applications. 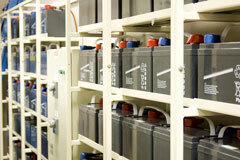 This nationwide battery store chain offers all sorts of batteries for thousands of products. Offers automotive batteries, laptop batteries, cell phone batteries, hearing aid batteries, cordless tool batteries, and more. Specialty batteries and battery chargers, Lithium batteries, rechargeable batteries, Ni-Cad chargers, and NIMH batteries. Hearing aid batteries, consumer batteries and lighting devices, and rechargeable batteries. Dry cell batteries, flashlights, alkaline, carbon zinc, miniature, and rechargeable batteries. Stored electrical energy solutions and innovative technologies. UPS replacement batteries for APC and Tripp Lite. Completely sealed, maintenance free, lead-acid batteries. Lithium thionyl chloride batteries in a variety of configurations. Uninterruptible power supplies — AC and DC power availability solutions. Laptop Batteries - battery technologies for laptop and notebook computers.